SEATTLE — Bill Johnson, Ph.D., the U.S. Federal Aviation Administration’s (FAA’s) chief scientific and technical adviser for human factors in aircraft maintenance systems, was honored Monday with the Flight Safety Foundation–Airbus Human Factors in Aviation Safety Award. The award, presented on the first day of the Foundation’s 71st annual International Air Safety Summit (IASS), praised Johnson’s “extensive work in, and significant contributions to, human factors research and development, with a focus on human performance in the maintenance and repair of complex systems.” The presentation was made by Craig Hoskins, vice president safety, security and technical affairs, Airbus Americas, and a member of the Foundation’s Board of Governors. Johnson joined the FAA in 2006 and since then has guided research related to human factors challenges in aviation maintenance, identifying practical ways to ensure safe and efficient human performance in maintenance and engineering. His research has extended into many domains, including civil aircraft, military helicopters, space vehicles, military electronics and the electric power industry. One of his best-known efforts involved developing and conducting advanced technology maintenance human factors training for Lufthansa Technik and its 10,000 employees and 30,000 external customers worldwide. A prolific writer and public speaker, he has influenced safety programs around the world. 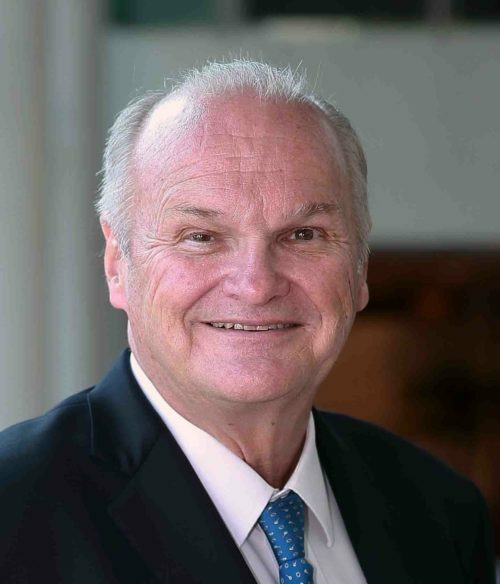 Johnson, who earned a bachelor’s, masters and Ph.D. in education from the University of Illinois, has more than 40 years of experience in applied research and development. He also has been a licensed pilot and a licensed airframe and powerplant mechanic for more than 50 years. IASS 2018 will continue through Wednesday afternoon. Flight Safety Foundation is an independent, nonprofit, international organization engaged in research, education, advocacy and communications to improve aviation safety. The Foundation’s mission is to connect, influence and lead global aviation safety.